Blockchain has been affecting all the other industries like Finance and Energy. Every day we can see a new blockchain startup trying to reshape the industries. In the past days Blockchain energy trading startup Power Ledger has raised $17M in Cryptocurrency ‘ICO’. Blockchain — essentially a peer-to-peer network for trading units of value in which every participant has a record of every transaction between all parties — has grown from an obscure concept to a technology attracting real-world money over the past two years. According to Greentechmedia news, last month, Tokyo Electric Power Company invested €3 million ($3.5 million) into German peer-to-peer energy trading platform developer Conjoule, as part of a €4.5 million ($5.3 million) Series A funding round alongside German energy company Innogy SE. Other startups in the space include Drift, Grid Singularity and Electron. In California, smart EV charging startup eMotorWerks has launched an experimental blockchain platform that will allow EV owners to locate and share each other’s home chargers. Grid+ leverages the Ethereum blockchain to give consumers direct access to wholesale energy markets. Grid+ Drives Green Energy Creates economic incentives through market-based energy pricing encouraging the adoption of distributed generation (solar panels), and distributed energy storage (batteries). Increases Efficiency Encourages the adoption of distributed energy resources (DERs) allowing more efficient utilization of existing grid infrastructure. In one of the most hotly hyped launches in the energy blockchain world, Grid+ last month raised $40 million through its token sale, which will fund the development and launch of its blockchain-based competitive retail provider in Texas. The hype was partly a result of Grid+’s origins: It was created by top New York blockchain shop ConsenSys. Grid+ is the culmination of two years of energy work at ConsenSys. The Grid+ vision is paved in several epochs. Greeneum Network is a global community connecting all entities in the energy supply chain to participate in this revolutionary new platform based on smart contracts and AI. They are creating a decentralized and sustainable energy market that enables smart monetization for real time energy transactions. Greeneum Network leverages blockchain technology, smart contracts and artificial intelligence (AI) to incentivize and decentralise the energy marketplace so all stakeholders can reliably produce, trade and consume energy. Ultimately, reducing the world’s carbon footprint and painting the world green. This is accomplished through a proof of existence ERC20 utility token GREEN and the Greeneum network with patented AI and Machine learning tested with Solarchange. Conjoule connects private energy producers to local energy consumers. Wouldn’t it be great if we could get our energy directly from next door? Local products are environmentally friendly, cause less transport costs and strengthen local structures. Via our platform, as a consumer you can buy energy directly from your neighbourhood. As owner of a photovoltaic-installation you can sell your energy to local public institutions and companies. Conjoule offers a blockchain platform designed to support peer-to-peer trading of energy among rooftop PV owners and interested public-sector or corporate buyers. The company was hatched in Innogy’s Innovation Hub in 2015 and pulled in $5.3 million in funding from Tokyo Electric Power Company and others in July. Conjoule has been running a pilot in Germany for the past year. Did you ever think about where your energy comes from? POWER YOU WANT AT THE BEST PRICE POSSIBLE. Replace your traditional utility with a new kind of power company. How does Drift work? It’s simple. Why do we exist? Good question! : The world is changing fast, but the energy sector hasn’t changed much. We’re Drift, a modern power company dedicated to transparency, choice and (pardon the pun) empowerment. How do we do it? Our platform uses software making your experience simple and transparent, while also connecting you to the people who make power. Some of our customers are saving up to 20%. -Seattle-based Drift is leveraging distributed ledger technology, machine learning and high-frequency trading to create a differentiated competitive retail energy provider. It raised $2.1 million in May and is currently operating in New York City. Know exactly what you’re paying for. Electron’s vision is to capitalise on the opportunities presented by the rapid changes in the energy market being driven by decarbonisation, decentralisation, digitisation and democratisation. We aim to create innovative, collaborative solutions, based on the blockchain’s guarantees of a secure, robust and transparent platform. We will do this at the lowest cost whilst providing the greatest benefit to all market participants. 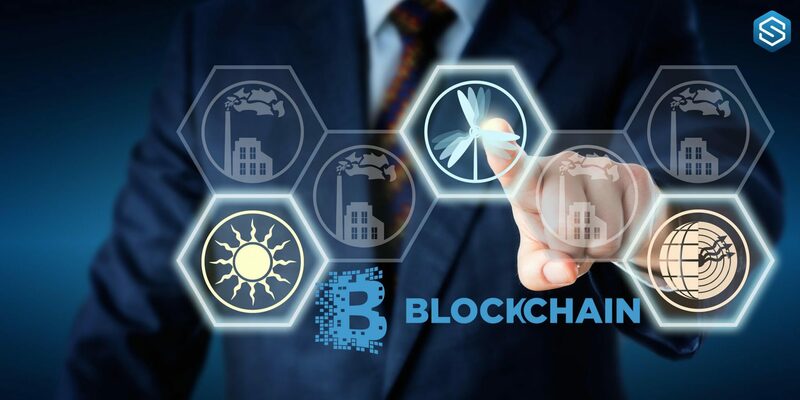 They are a team of blockchain, energy and e-trading professionals using decentralised technology to advance the shared infrastructure of the energy markets. They design efficient, robust and innovation friendly systems to support the Industry’s transition to smart grid infrastructure and new market norms of decarbonisation, decentralisation, digitisation and democratisation.